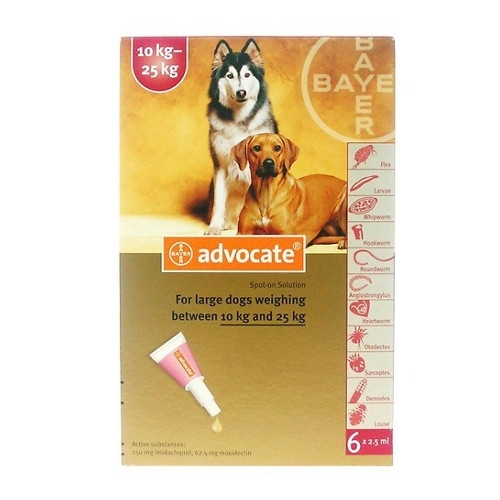 Advocate is a so-called endectocide, a single product effective against both, ecto- and endoparasites, like fleas, lice, mites and different types of worms. It is approved for different indications in dogs, cats and ferrets. Advocate is applied once a month on the skin on the back of the animal (“spot-on”) in one or several spots, depending on the animal’s body weight. 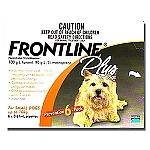 The active ingredient against fleas and lice, imidacloprid, then distributes on the entire skin while the active against worms and mites, moxidectin, penetrates the skin and enters the blood stream. 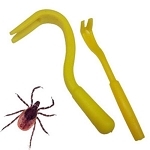 Thus, Advocate provides convenient, continuous and broad protection against numerous parasites threatening wellbeing, health and, in some cases, even the life of pets.